Mobile App Development is a phenomenon that was triggered with the launch of the revolutionary OS Android. Though the people with technical background might argue that the mobile based applications have been there since the very beginning; but the variety, extent of customization, availability, types and categorization; all were missing in the applications that came pre-installed in the phones with Symbian OS or the vary famous J2ME/JME OS. The Android revolutionized the App development world over the night and the web became loaded with millions of Apps in a very small interval of time. Just like web development, app development became popular. Earlier, the Apps used to consist of basic handy tools such as calculators, converters, alarm clocks, some games, stop watch etc. ; but these days, there is an App for almost every SINGLE thing. From managing your pregnancies to the parenting; from cooking to serving; from learning to teaching; and from almost anything to almost any ‘other’ thing – you can find an App. The past 5 years have been highly crucial and detrimental in the history of Mobile App Development. 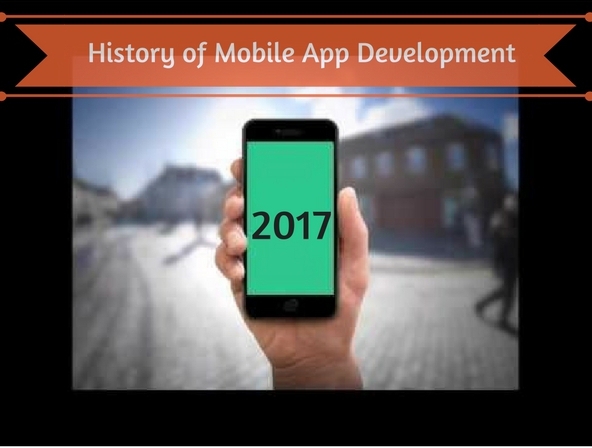 The following post will reflect on the major milestones in the History of Mobile App Development and give the readers a sneak-peek into the future of the same. - The very first mobile phone was developed by Motorola and was released for public use after 10 years of its first appearance in 1973. There were, however, no Apps in it. - Psion EPOC was the handheld small computer that came with some Apps such as Database, diary, spreadsheet and even allowed the users to download and use other software packages available at that time via internet. - Palm OS came with a touch-screen and Graphical User Interface (GUI) and was also referred to as the Palm-Top. There were a number of basic Apps as well as the WAP browser that allowed the users to browse the internet and download any other Application of interest. - WML was the next big thing the world of mobiles and mobile apps. 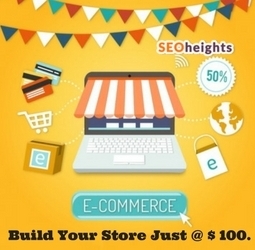 However, the browsing was restricted as the users were not able to access the web directly. - J2ME/JME was the major breakthrough in the history of mobile apps. The highly customizable environment provided by the Java and the ease of running the programs on a machine with limited requirements made the language as well as the OS highly popular. It in fact two decades back, the Java Apps were a huge craze in the world of app developers. - However, the Game Changer was the Symbian OS. The OS was developed by the Mobile App Development Company of the same name which was a joint venture of Ericsson, Nokia, Motorola and Psion. Around 250 million devices were running Symbian in the early 2000s. There were a lot of apps of all kinds that came pre-loaded in the mobiles running on Symbian OS and the internet was of course available at hand to make things better. The lack of customization availability was the major drawback in this case; which led to the decline of the number of users and paved the way for much better and highly evolved OS – Android. - Though the iOS was already available in the market when Android was gaining popularity, the fact that it was affordable by only an elite band of users and not everyone was allowed to program, customize and use it; necessitated the release of something based on OPEN SOURCE. - Another drawback of the iOS apps is that they don’t run on all kinds of devices. They are super-exclusive. - On the other hand, Android made each and everything possible. The developers of all kinds and expertise began developing Apps of different flavours that were highly customizable, were available for free, needed NO special hardware requirements, and were OPEN to everyone. - Even the telecommunication world felt the reverberations of the mobile development world and the data-packs, calling, SMS, Video and Audio streaming, and VoIP etc all became highly affordable. - When the world was enjoying the benefits of Android OS, the Microsoft also entered the arena and launched the mobiles with Windows OS. Though the OS was also customizable, the limited customization, inherent tendency of the Windows OS to hang under high-load conditions and inability to match with the endless features of the Android Apps made it a struggler in the mobile world. - Blackberry 10 is based on the QNX microkernel operating system and uses gestures and touches for functioning. However, the OS comes with an added layer of Android as well; so that the Android Apps can be used and operated on the Blackberry Phones. Though the company wanted to gain popularity once again the world of mobiles with the new OS, the impact of Android on the market was not an easy foe to be defeated. - Though it seems that the Android OS is here to stay; it will be the best until the NEXT BEST THING is out. - The other scenarios in the world of Mobile Apps include the things such as PhoneGap that support almost all the major mobile development platforms such as Windows, Blackberry, iOS and Android. It also allows the users to use the native hardware features such as cameras and compasses. - Another notable name is the Titanium framework launched by the Appcelerator in which the Application code is interpreted using a Java Search Engine. - The future of the App development will be centred around things such as Wearable Technology e.g. Galaxy Gear, Google Glass, and Fuel Band. Second Screens and connected cars are some other prospective areas.